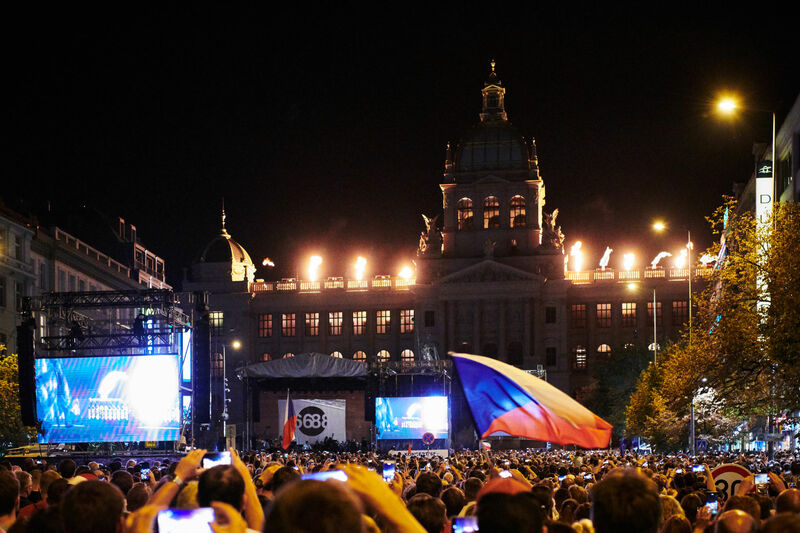 The culmination of a special Czech Radio project to mark the 50th anniversary of the Warsaw Pact troops occupation was the Concert’68, which did not miss 50,000 visitors in Wenceslas Square. Iconic songs of the 1960s were performed by contemporary artists in a new arrangement by Petr Malásek. Conclusion of the concert was Martha Kubišová with the song Prayer for Martha and the Czechoslovak anthem. 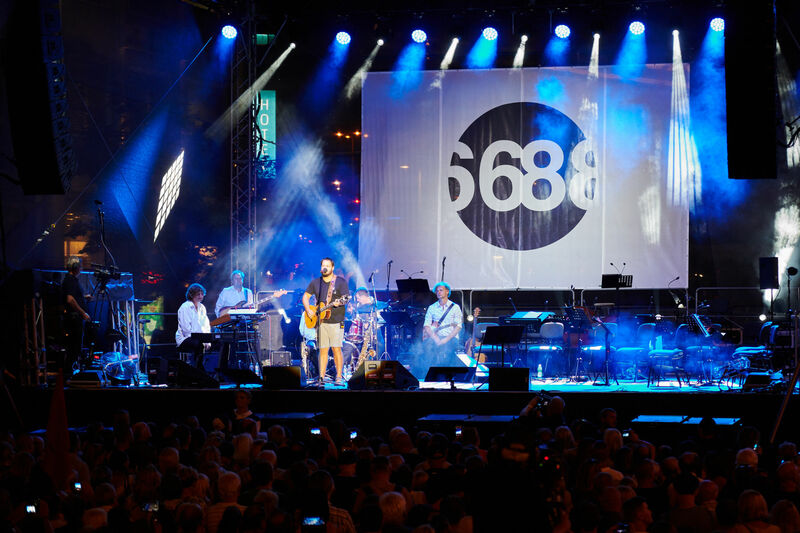 Czech Radio reminded the general public of the anniversary of August 1968 events not only with their broadcasting, but also with the connection of special musical production and a new circus entitled „Koncert ’68. 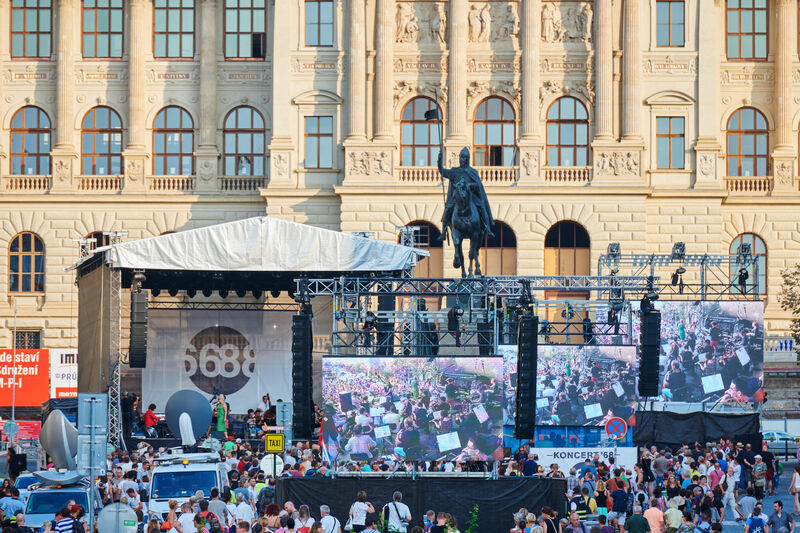 The performance was characterized by the symbolic compositions of the 1960s, presented by contemporary music artists in a new arrangement by Petr Malásek, accompanied by the Czech Radio Symphony Orchestra. 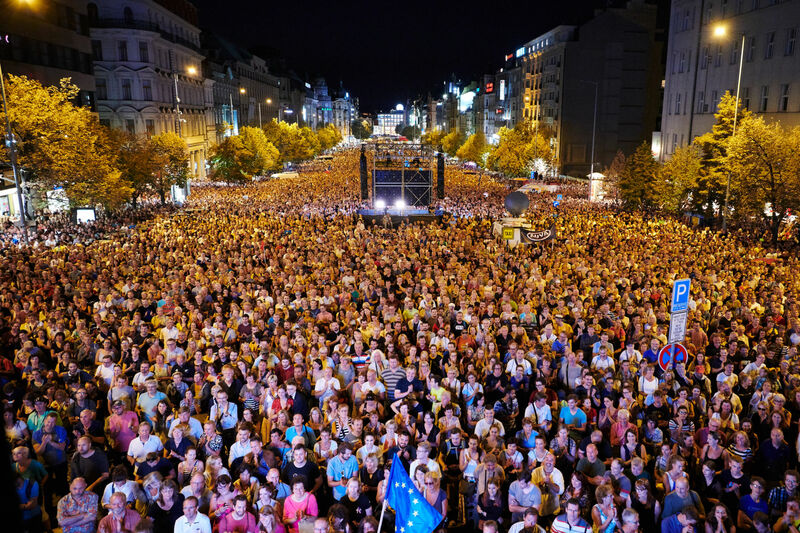 The main mission of the ’68 Concert was to remind both the time before the 20th and the 21st of August of that year, the bravery of the inhabitnts and workers of Czechoslovak Radio who defended free anti-communist broadcasting. 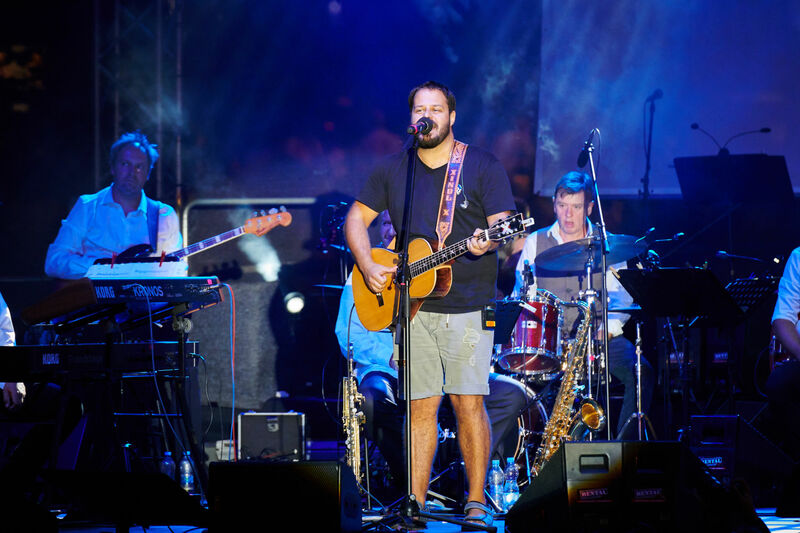 RENTAL PRO ensured complete sound on the square with NEXO STM as the main PA, NEXO GeoS8 was used for delay. 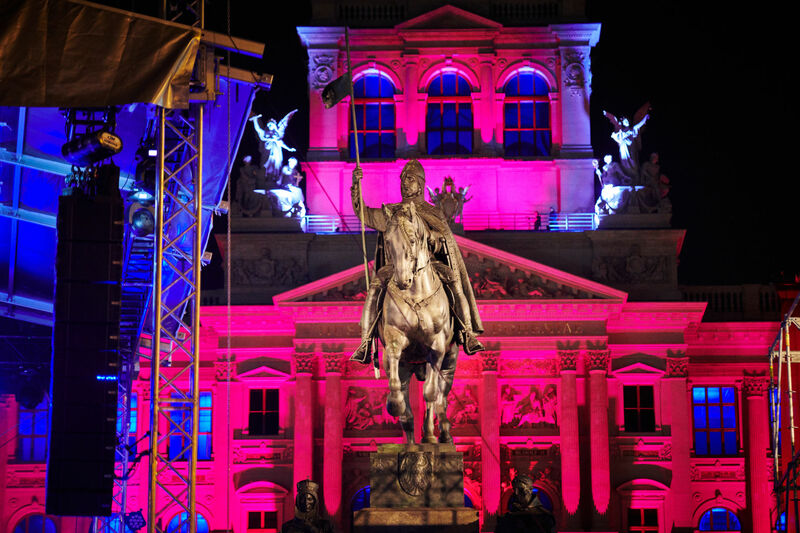 The light show during the musical production, including the illumination of the National Museum, was provided by ROBE lights. A high-quality picture that transmits stage, ensured LED screens located even below the square. 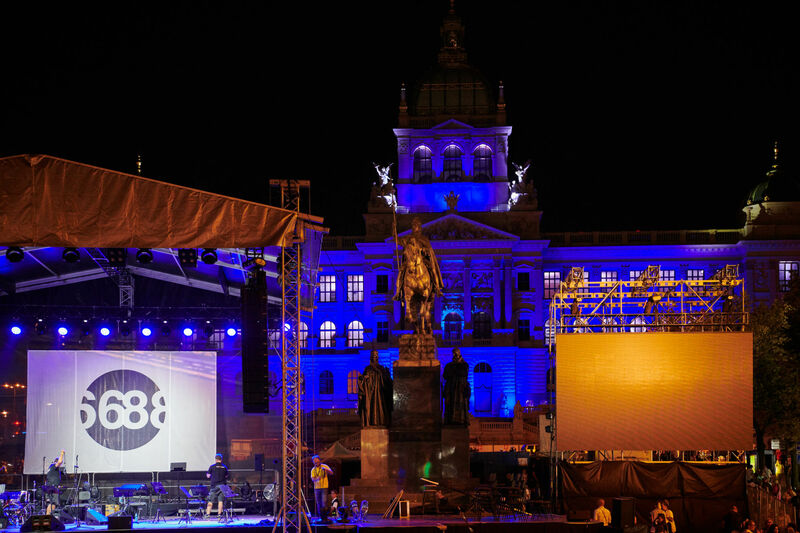 The Czech Radio ’68 concert took place in cooperation with the Prague City Hall and the National Museum, the building of which was an integral part of the accompanying audiovisual show.